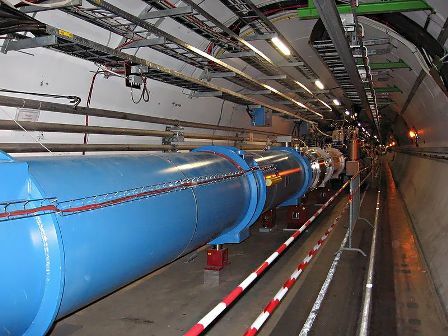 The European Organization for Nuclear Research (CERN) said on Monday that repairing the Large Hadron Collider (LHC) will cost up to €16.6 million or US$21 million. The LHC, which is the world’s largest and highest-energy particle accelerator, is located near the border of France and Switzerland and crosses the border four times. It has a diameter of 27 km (17 miles). It is designed to simulate the conditions shortly after the Big Bang, but it broke down on September 19 due to an electrical failure. Most of the repair time is covered by previously scheduled maintenance time, and CERN originally hoped to have the machine up and running again by early May. However, CERN officials now believe that it may take until the end of July or longer. The machine operates at temperatures colder than outer space and must be gradually warmed up for experts to assess the damage, causing much of the delay. CERN expects the repair cost to fall within the annual budget for the project.